Time flies it's already half October! Today I wanted to share with you a really cool store online called Dresslily that is a very popular fashion and accessory worldwide shop. It focuses on the latest trends and affordable fashion styles and features thousands of new product lines. You can get anything from chic to trendy, to effortless and cool clothing. Dresslily has a very fun giveaway at the moment you need to check out! 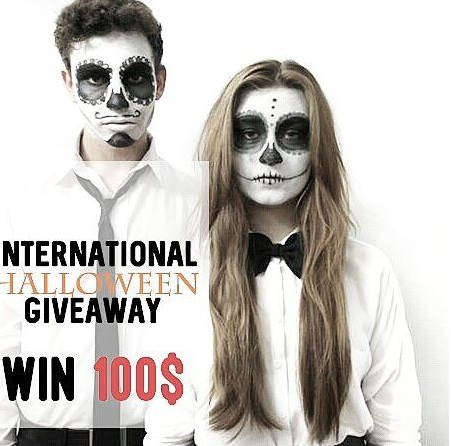 Dresslily also has a Happy Halloween sale going on right now. They have so many cute items for a perfect spooky outfit. Here are some of my absolute favorites. Open Back Lace Splicing Pleated Dress. This dress is so cute, especially the back is very pretty and perfect for an Halloween party. 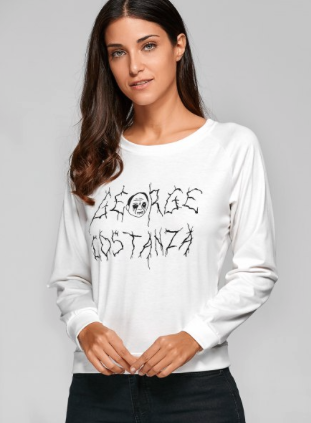 Fall Halloween Graphic Print Sweatshirt. This sweatshirt is besides very comfy also very spooky. 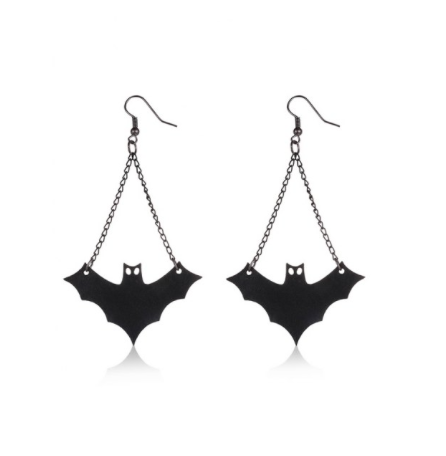 PU Leather Fan-Shaped Bat Halloween Earrings. These earrings are really my favorite item from Dressily. They make a normal your outfit from pretty to stunning! Remember the more times you share, the more chances to win! What is your favorite Halloween item?